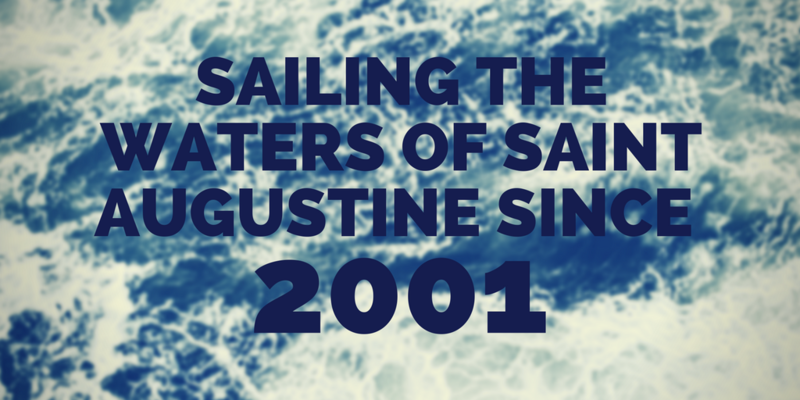 The Schooner Freedom is St. Augustine's Premier tall ship. 76 feet of steel, Freedom was built in Norfolk, Virginia and brought to St. Augustine in 2001 by owners Captain John Zaruba, and his wife, Admiral Sarah. Freedom is the only schooner charter vessel between Charleston and the Florida Keys. With nearly 2400 square feet of sail, she is an honorable testament to naval history and to the blockade runners of the early 1800s. 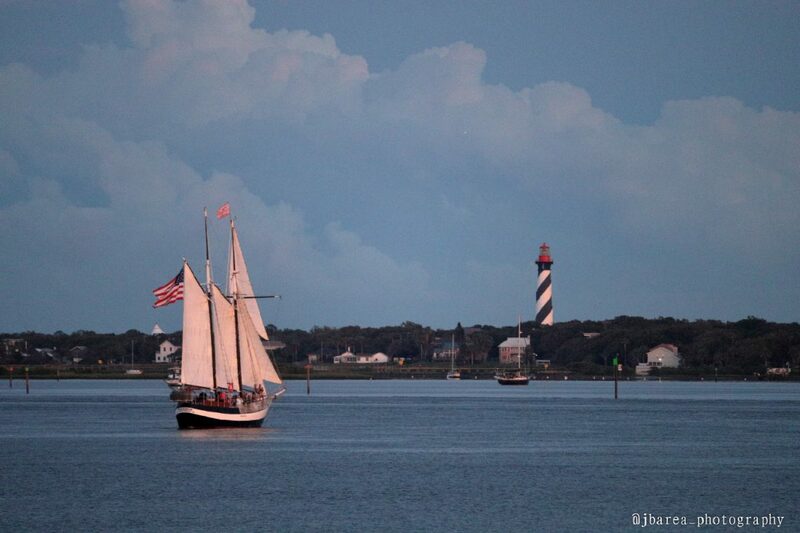 The Schooner Freedom is a gaff-rigged topsail schooner, and a highlight to any Saint Augustine vacation. Family owned and operated, love, grit and honor is poured into every crevice of this ship, and it shows in our Captains' and Crews' vast knowledge of sailing history and their deep passion for the ocean. If you don't happen to catch Captain John on a sail, chances are one of his children, Sydney or Jack, are on board as first mate. 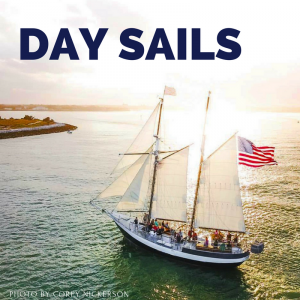 Come for a sail on board, learn about the unique history of our nation's Schooners and beautiful Saint Augustine, the nation's oldest city. Hoist sails and enjoy a drink on the waters, you won't regret it. The Schooner Freedom has been sailing the waters of historic St. Augustine since 2001 and is listed as one of the top ten attractions in St. Augustine by USA Today. 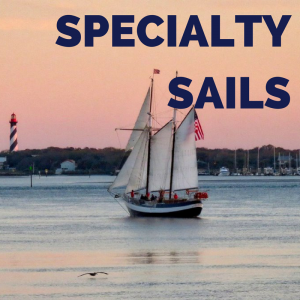 We offer relaxing Day, Romantic Sunset, and Enchanting Moonlight Sails, as well as a variety of special events throughout the year. Our family invites your family to join us for an amazing sailing experience. THE FREEDOM IS AVAILABLE FOR PRIVATE CHARTERS OR INDIVIDUAL SEAT SALES. A GREAT WAY TO TEAM BUILD OR MIX, MINGLE, AND RELAX WITH YOUR CO-WORKERS AND RELAX FROM OUR BUSY LIVES. PERFECT FOR CORPORATIONS, CHURCHES, OR FAMILY GATHERINGS. 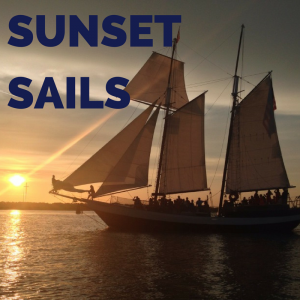 Join us Valentine's Day Weekend for a romantic sail on the waters if the Matanzas in quaint historic St. Augustine. Kick back, relax, enjoy a glass of wine and cuddle up under a blanket with your significant other while we set sail. Stay tuned for more info on St. Patrick's Day! We offer a $5 discount per person to everyone who pays in cash. All rates are subject to 6.5% Florida Sales Tax.